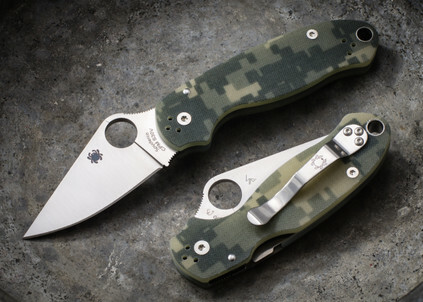 Spyderco makes peculiar knives. They know it. They admit it. They're proud of it. "Our recognizable appearance is a result of designing ergonomic functional tools rather than applying lipstick and nylons to a pocketknife." Truly, Spyderco has revolutionized an industry. Spyderco holds many patents in the design and operation of knives. 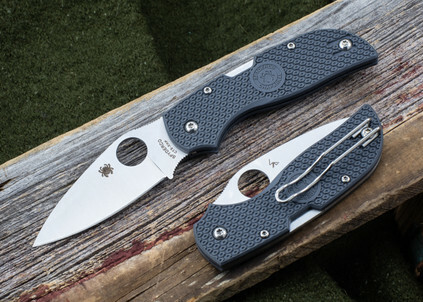 The clip on Spyderco knives and ambidextrous one-hand-opening hole are cornerstones of both form and function. Every Spyderco knife is rigorously tested for durability, edge retention, deployment mechanism and ergonomics. When you buy a Spyderco from KnivesShipFree, you're buying a high-quality tool designed for peak performance and comfort. 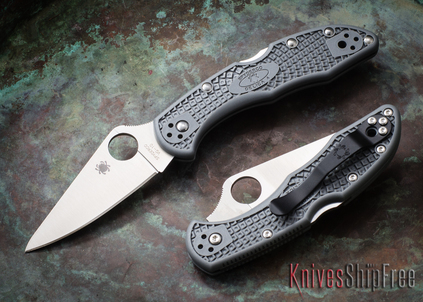 All of our Spyderco products are in stock and ready to ship to you. 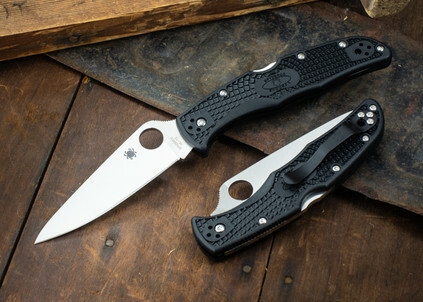 Sign up here to receive an email when new Spyderco products arrive!